Now-Again continues its reign of introducing its followers to the world's offerings in psych funk and soul with its latest reissue Dark Sunrise, a double disc (three LP) boxset that follows the career of Rikki Ililonga. Now-Again's exploration of the Southern African nation of Zambia's “Zamrock” began with reissues of seminal albums by Witch and Amanaz, which I just learned and now need to track down. Deeper than the two bands first reissued, is Rikki Ililonga and his band Musi-O-Tunya, which is regarded as somewhere between the Lou Reed and James Brown of Zambia in the 70's. From what I'm gathering on the press release, Ililonga is a national treasure, ya'll. Makes sense, I've been meaning to share his track “Dark Sunrise” with the Impose faithful for a couple weeks now, but kept getting swept up in the long playing jams. Disc one follows Ililonga's pioneer days with Musi-O-Tunya, as they built the groundwork for Zamrock, while Disc two explores Ililonga's solo work, making it 31 songs of Zamrock illumination. Production of this anthology was overseen by Egon in conjunction with Ililonga himself and took place over a period of two years. 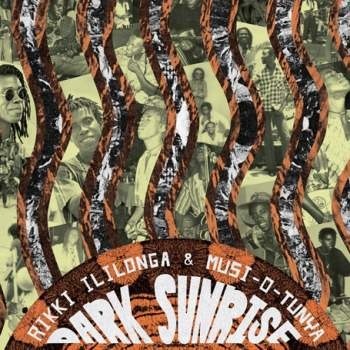 Order Rikki Ililonga & Musi-O-Tunya's Dark Sunrise here.